Really unlikely I know..... Size Large/X Large probably. I found a place that does repros but it's not the same is it! 25 views. No joy. Lucky it's not urgent then.... Deadline Late August! 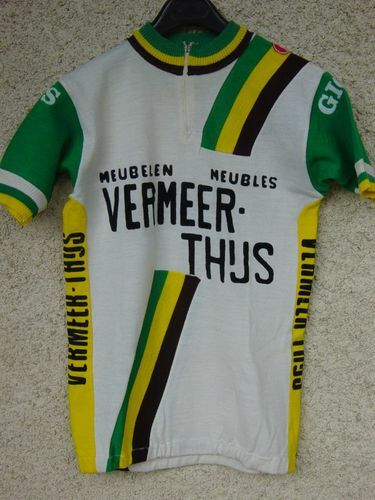 Lovely jersey but it's pretty obscure, is it not? Good luck with your search. Not sure if it's a reproduction but thought I would draw your attention to it anyway. Thanks. This is def. repro though.